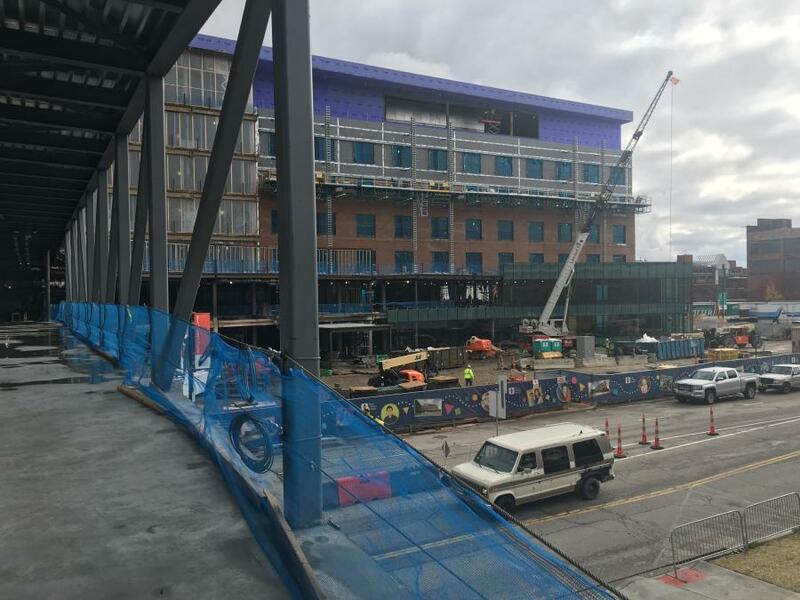 The Akron Children’s Hospital addition will add 230,000 sq. ft. to the hospital. 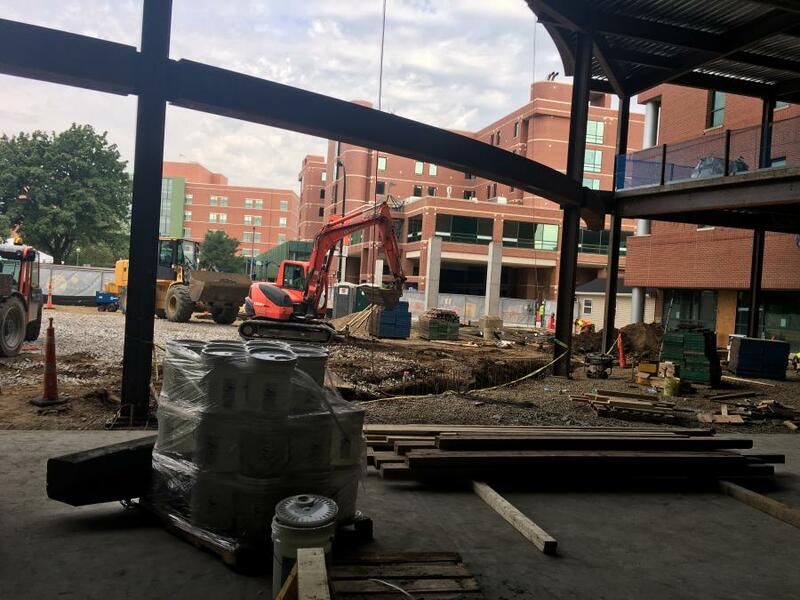 Akron Children's Hospital is eagerly awaiting the addition to the existing Considine Professional Building by Welty Building Company Ltd. The $82 million, 230,000 sq. 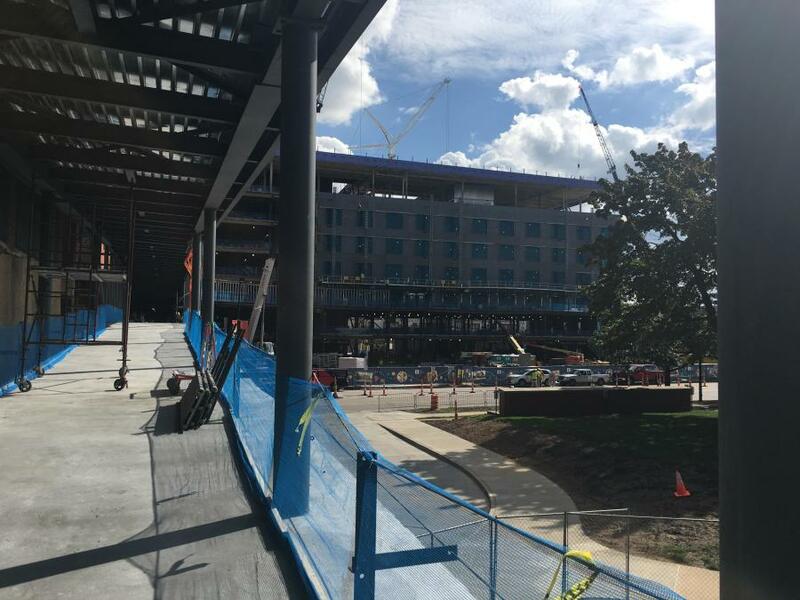 ft. addition began in March 2017 and will be completed in the summer of 2018. 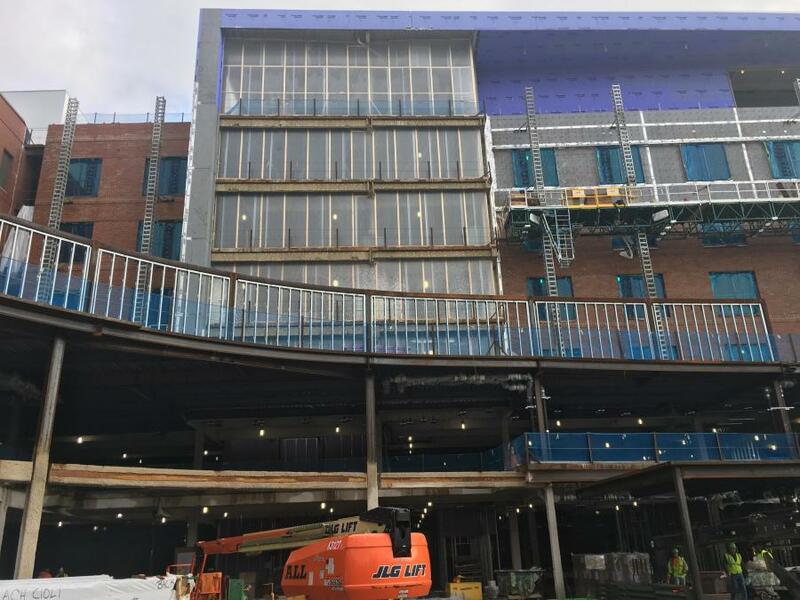 The Considine Building, an eight-story building located on 2.25 acres at the southeast end of the hospital's campus, will be connected to the main hospital and Kay Jewelers Pavilion via a 250 ft. long elevated bridge over Bowery Street. 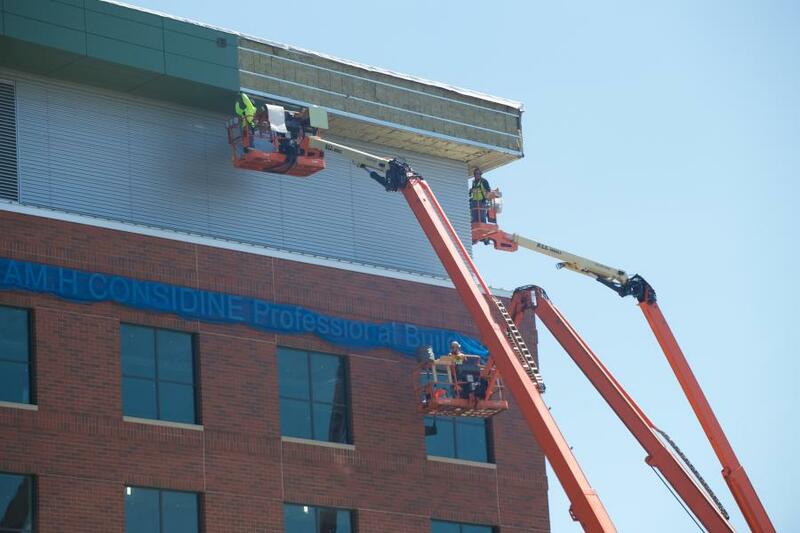 With the addition, the Considine Professional Building will grow to 480,000 sq. ft. 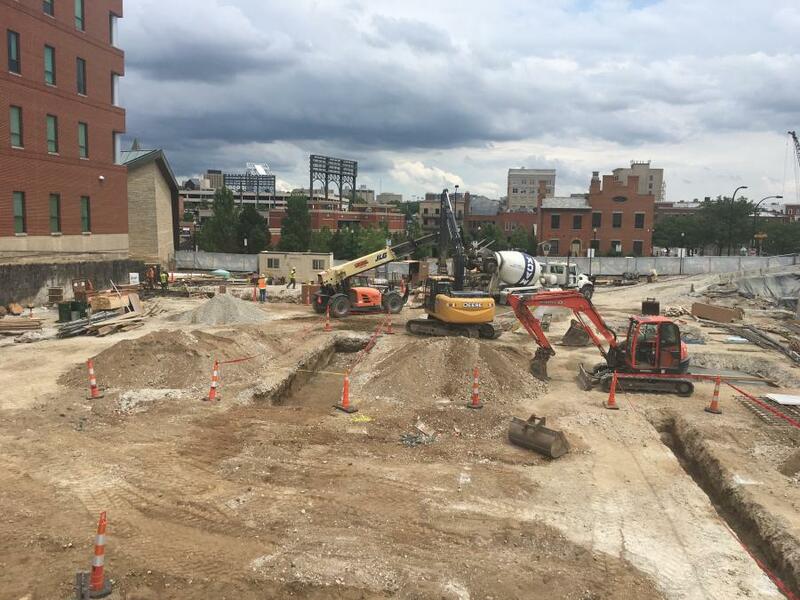 This most recent expansion of the hospital's master plan provides subspecialty practices in Akron and allows the hospital to consolidate functions such as outpatient clinics and programs currently located in leased downtown sites. The project has endured many harsh conditions due to the Ohio climate. March of 2018, for example, was on average 10 degrees colder than is typical and had 30 percent more precipitation than is average this time of year for the region. Luckily, weather-related delays only temporarily hindered the project, and the project's critical path was maintained. “All equipment is shared and assigned,” Marcum said. “A master equipment board with a description and who has temporary ownership is in the team planning room. The interior equipment list is updated as needed to track which floors the equipment is on and when trade partners will complete work requiring the lift. JLG aerial and all 4x4 scissor lifts are tracked in the same manner and are scheduled well in advance in the weekly planning meeting. They are also shared between the trade partners according to the work to be performed on the exterior of the project. An average work day included 180 construction personnel on site. Welty's partners on the project include: Kiehl Building Services for excavation and site utilities; Donley's for concrete; Forest City Steel; TH Martin for mechanical; Gorman Lavelle for plumbing; JW Didado for electrical; US Communications and Electric Inc. for communications; Grunau Company for fire protection; the CCG Company for building automation; OCP for exterior shell, metal studs, drywall, cement and fireproofing; Messina Flooring Company; Yerman and Young for the painting; Foti Contracting for masonry; Tycor Roofing; and United Glass. ALL CraneCraneshospitalOhioSite PrepWelty Building Company Ltd.
ALL Crane Cranes hospital Ohio Site Prep Welty Building Company Ltd.